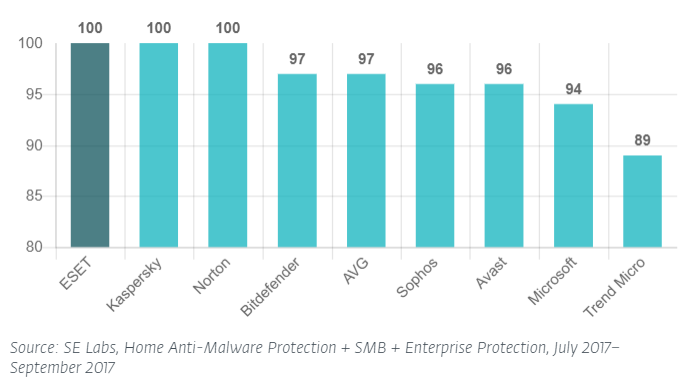 Legendary antivirus technology: Multilayered security protects you against all types of online and offline threats and prevents malware spreading to other users. Safeguard your privacy: Prevent unauthorized access to your computer and misuse of your data. Stay safe while making online payments. Enjoy safer connections: Protect your webcam and home router from intruders. Test your passwords and scan your smart devices for vulnerabilities. Protection of your privacy and privacy of your family: Stop hackers from misusing your passwords. Shop and bank online securely. Keep your kids protected from offensive online content. Enjoy comprehensive protection. Host-based Intrusion Prevention System (HIPS): protects your system from malware and unwanted activity attempting to negatively affect your computer. It monitors processes running within the operating system. You can download the program installer from the official website using online or offline installer. Installation is very easy, you can use online or offline installer and follow simple on-screen instructions till installation is complete. 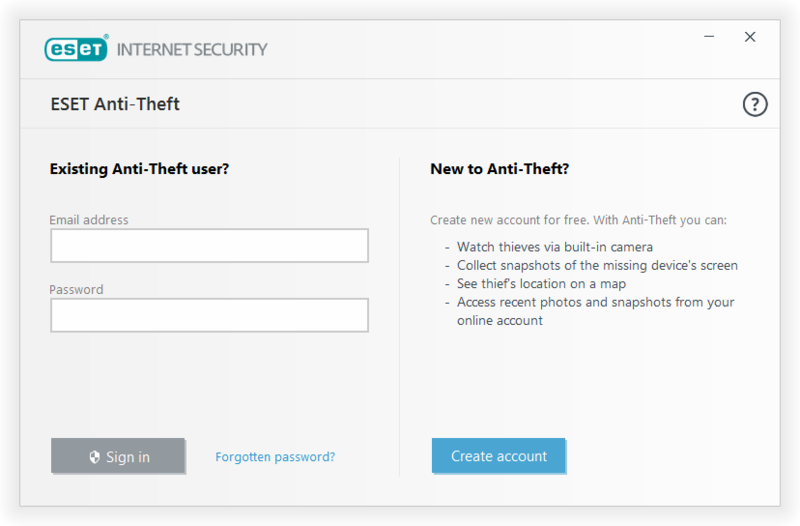 You will be prompted to set up additional security tools as parental control and antitheft tools. Now, a full computer scan will start automatically after first successful update in order to check for malicious code. Version 11 has native support of 64-bit code and is compatible with Windows 10 and its new security features. 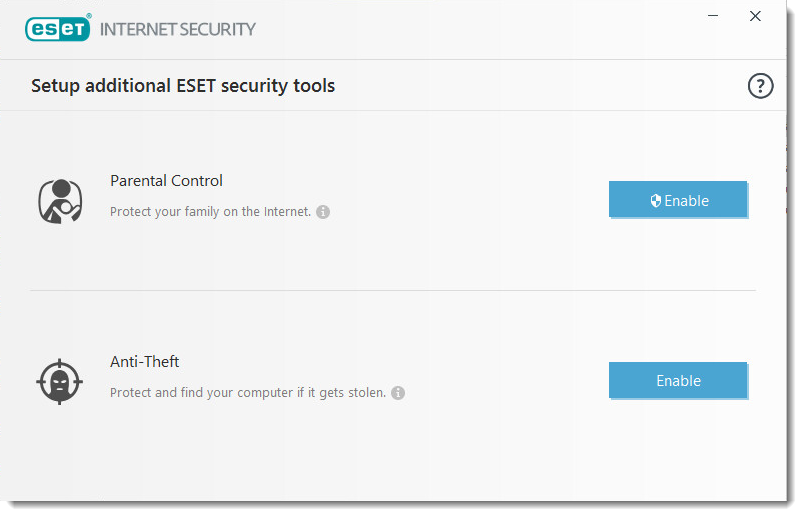 What’s new in ESET version 11? Connected Home Monitor: Renamed from “Home Network Protection” and added a new feature to scan router-connected IoT devices (Internet of Things) to test for vulnerabilities such as weak passwords, open ports and known services. 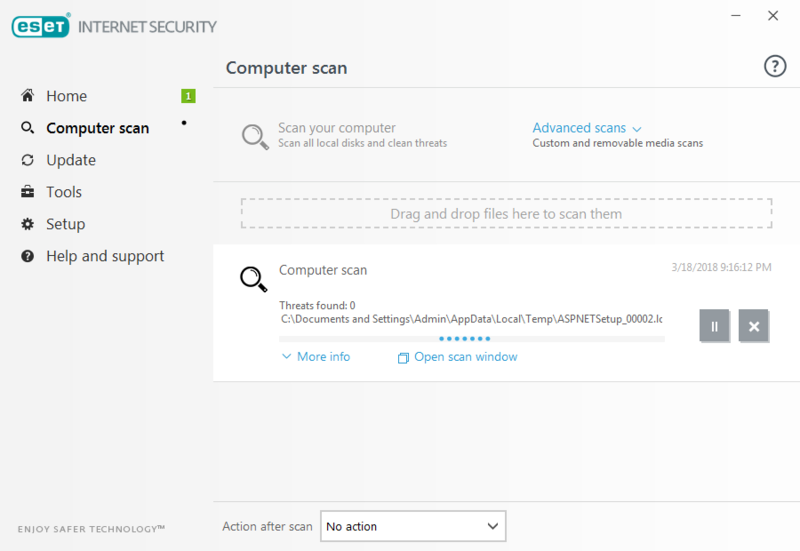 UEFI Scanner: Proactive scanning that runs in the background and only notifies you if a problem is detected. 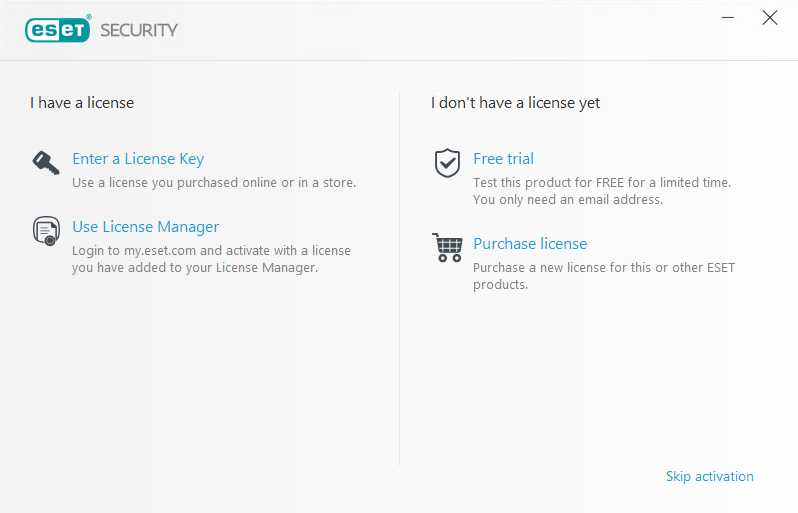 License Manager: New feature added to my.eset.com that allows you to view and manage your licenses and connected devices. 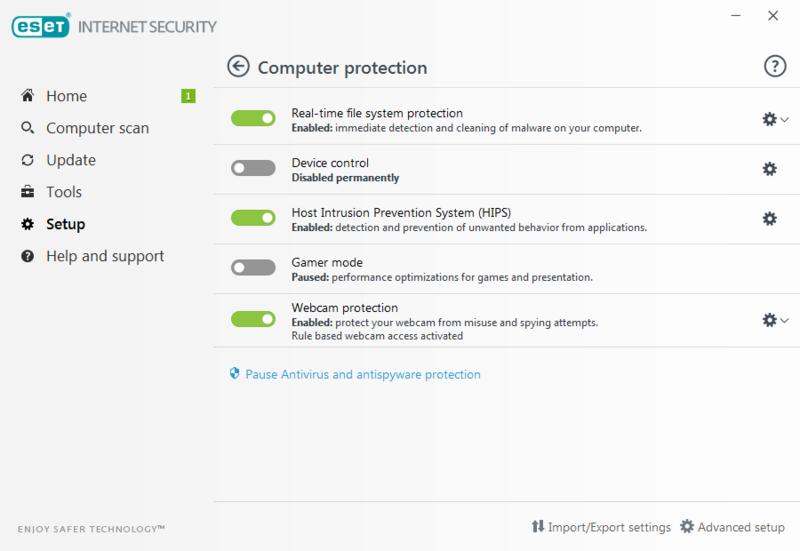 System cleaner: New tool to help restore default settings after a malware infection. 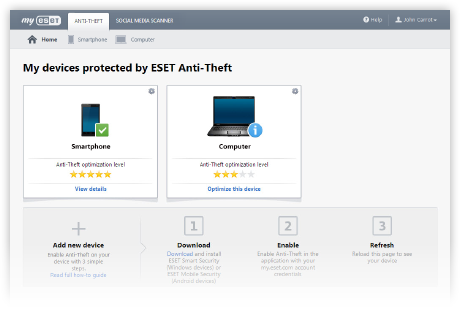 ESET Anti-Theft: Locates and helps retrieve your missing device. Installation with the minimal modules which make the installation light-weight and faster. 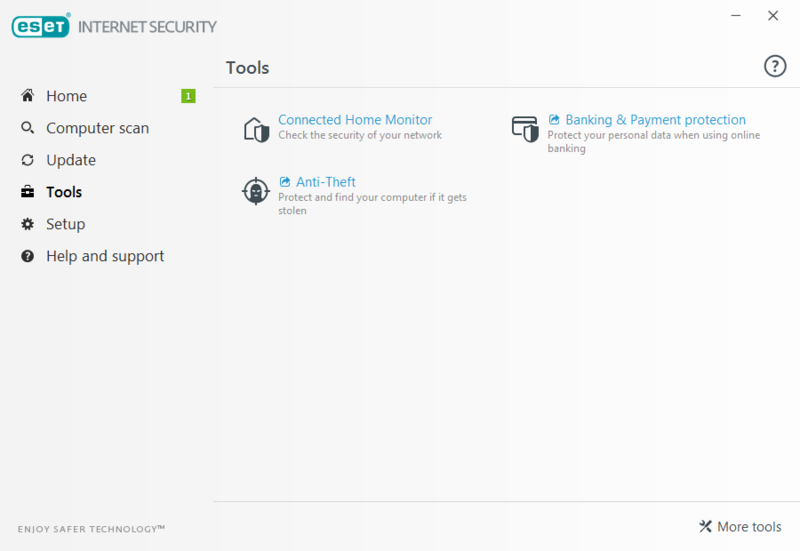 Home: Provides information about the protection status of ESET Internet Security (green, red or orange). Computer scan: You can easily configure and launch a scan of your computer or create a custom scan. Update: This part displays information about main app updates and database updates. 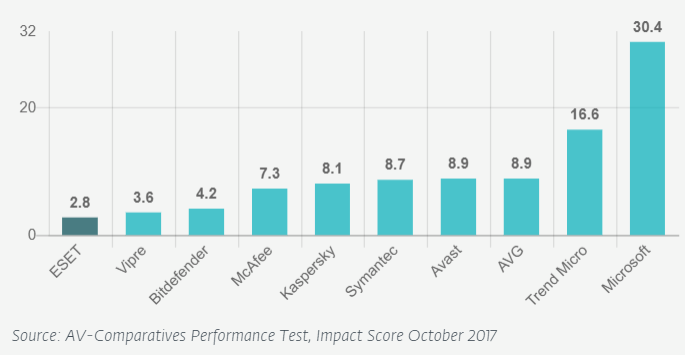 Tools: Provides access to Log files, Protection statistics, Watch activity, Running processes, Network connections, Scheduler, ESET SysInspector and ESET SysRescue. 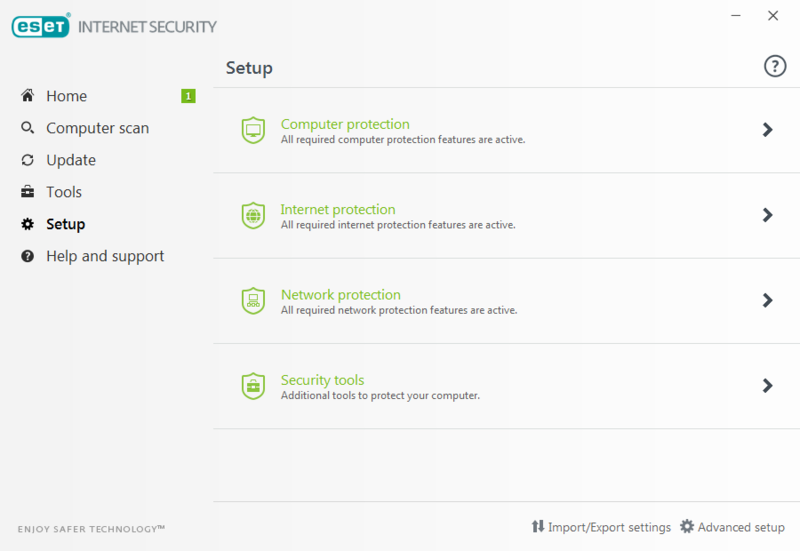 Setup: Select this option to adjust the security level for Computer, Internet, Network protection and Security tools. Help and support: Provides access to help files, the ESET Knowledgebase, the ESET website, and links to submit support request. 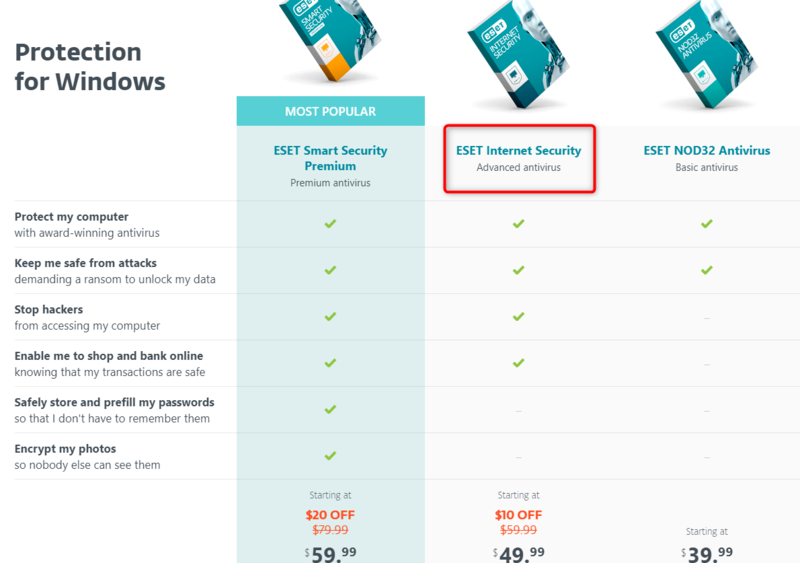 ESET is my favoutite security suite. Keep up the gold work. Thanks a lot for this great giveaway. 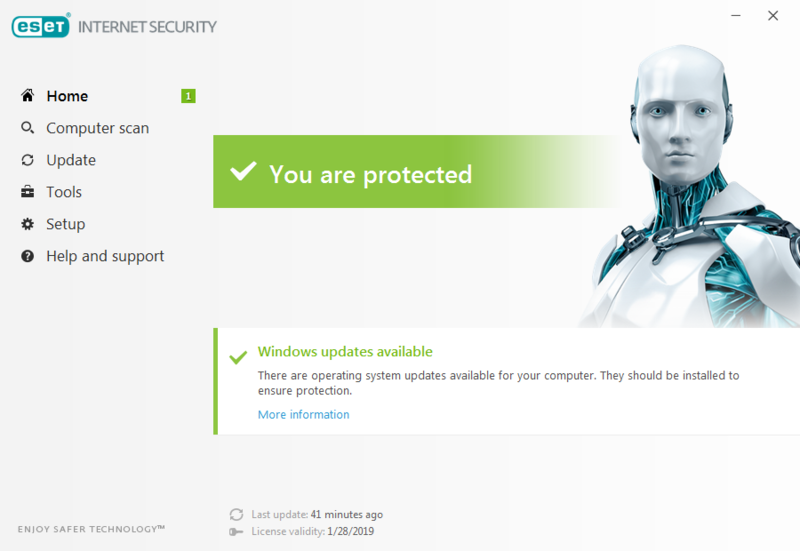 Eset is my favourite antivirus program. Awesome review and great giveaway! Good luck to everyone! Thank a lot for the review. Thank you for the giveaway of this awesome product. Very nice protection software with low resources used.